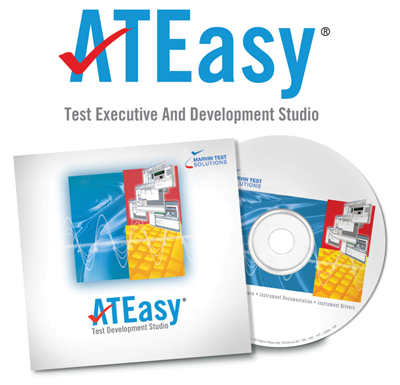 ATEasy is a test executive and a rapid application development framework for functional test, ATE, data acquisition, process control, and instrumentation systems. ATEasy provides all the necessary tools to develop, deploy and maintain software components - including instrument drivers, test programs, user interfaces, as well as a complete and customizable test executive. It is designed to support and simplify ATE system applications with long product life cycles. With ATEasy, test applications are faster to generate and easier to maintain. ATEasy's open architecture provides easy to use access to many industry standard hardware and software interfaces including GPIB, VXI, PCI/PXI, USB, LXI/TCP-IP, Serial Communication, DLLs, ActiveX, .NET assemblies, HTML, VXI Plug&Play Function Panel drivers, IVI drivers, LabView VIs, C Header files and more. ATEasy provides a streamlined, easy-to-follow framework that directs the user to create re-usable components modelled after real-world test systems. Components include a System, Drivers, Programs, Tests, Commands and more. ATEasy provides a royalty free Test Executive. User group customization and assignments of privileges is easily done with little or no programming. All the tools to execute, create data logs, and debug your tests are included. Additional modules are included that provide test sequencing and fault analysis. ATEasy provides a familiar graphical user interface that allows Microsoft Visual Basic or Visual C++ users to feel right at home. First time users can use the Application Wizard to generate applications quickly. The ATEasy application framework and modular structure offer placeholders for your code reducing the learning curve. ATEasy provides free development on multiple platforms following development on a licenced system. This means only one active copy of ATEasy is required to develop solutions that can be deployed over as many systems as required to meet production volumes. ATEasy provides full support for the Windows multi threading model, which allows users to execute multiple code segments simultaneously. Synchronizing objects such as semaphores and events allows users to synchronize thread execution to protect your application resources from re-entrance. 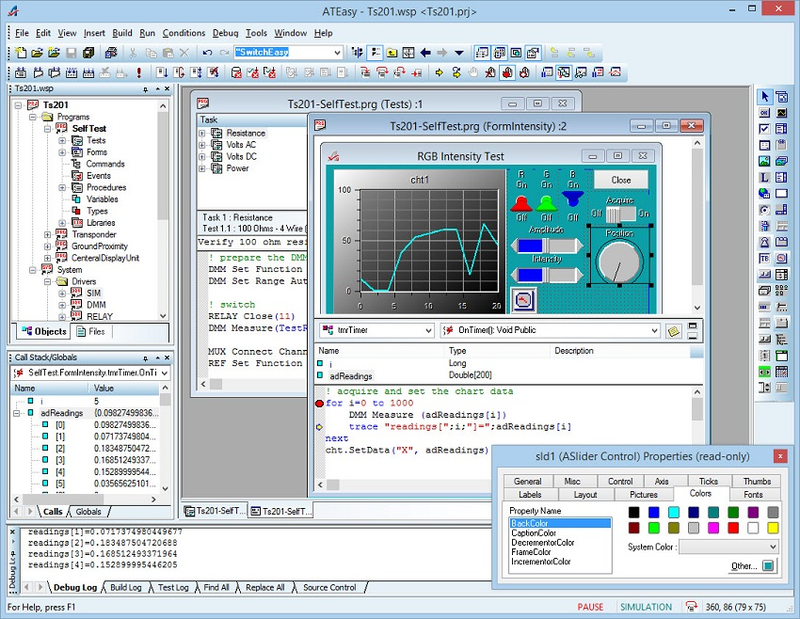 ATEasy's robust multi threading model lets users use any user-interface objects and ActiveX controls from any thread without any special programming, unlike other conventional programming environments. Thanks to ATEasy's exclusive Instrument Interchangeability Technology (I2T), test engineers can easily define plain language driver commands for instruments types such as a DMM, ARB, etc. The commands can be implemented differently for different instruments of the same type. Commands can be linked to DLLs, ATEasy procedures, etc. For test programs, these commands are independent of the implementation, and interface type (GPIB, VXI, etc). Consequently, when instruments need to be replaced, a new instrument driver may be used while the test programs remain unchanged.